Children. In agony, dying or already dead. These were the most tragic victims of chemical attacks on the outskirts of Damascus on 21st August. They suffered unimaginably. According to the US Secretary of State, John Kerry, 426 children were killed, along with 1,003 adults. That’s 1,429 dead, and many more treated for the effects of poison-gas. Most of us will feel a natural emotional response to the suffering of children. Perhaps, as a new father, I feel that even more acutely than a year ago. My work involves dealing with breaking news video on the world’s headline stories. I make editorial decisions about what the BBC might broadcast on our TV news outlets. Filtering some of the most horrific images from those we actually broadcast on 21st August was traumatic to say the least. I feel angry about what happened. To see the bodies of small children should always stir strong feelings. What happened was unjust and we should not accept injustice. Something must be done. Much has been done already, but not external military intervention. There has been much chatter amongst world leaders and admonishment of Syria’s President Assad. Syrian rebels have been given diverse support and our collective distaste for the Assad regime has been expounded ad nauseum in the media. Well over 100,000 people have been killed so far in the Syrian civil war. And the killing goes on. None of the soft power wielded by Western nations or Syria’s allies (primarily Russia & Iran) seem to have made any difference to Assad’s attitude. But his regime’s intensive use of chemical weapons crosses a Rubicon for the West. 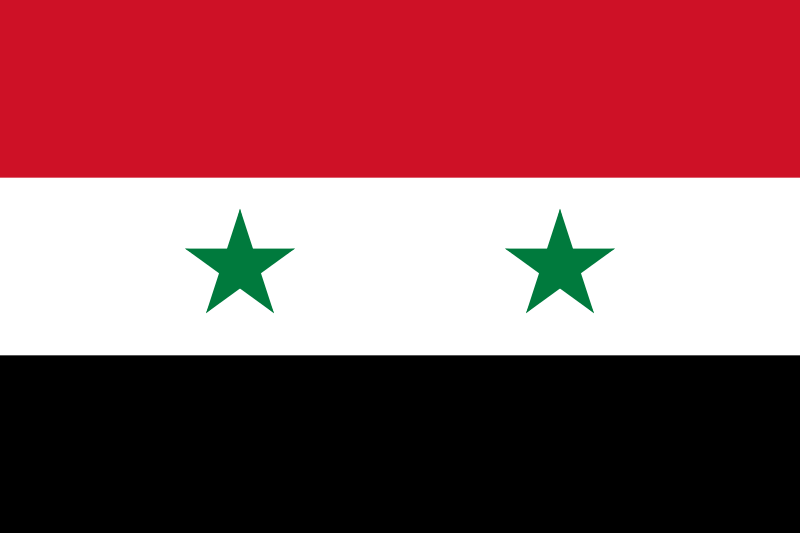 Syria is a full signatory to the Geneva Protocol established in 1925 (Syria signed in 1968). The massacre of innocent civilians is always wrong, but breaking the chemical weapons taboo is deemed to be a special wrong. They were last deployed by a state (by Saddam Hussein’s Iraq) in the 1980s, both internally in Halabja and externally against Iran. The assumption is that Assad or his generals were responsible for the chemical attacks in question. I have had my doubts. I remember feeling bewildered on 21st August. Knowing the outcry that chemical weapons would provoke, knowing it would constitute a ‘red line’ for President Obama, and having welcomed UN chemical weapons inspectors into his country just days previously, why would Assad deploy chemical weapons at such a time? Militarily, Syrian forces were regaining the upper hand in the conflict. Why threaten that with behaviour likely to provoke fury and resolve amongst powerful Western enemies? My immediate inclination was to assume a false flag operation by enemies of the regime (rebels or third parties). I am in the fortunate position of not needing to judge President Assad’s guilt or innocence, but it is a critical question for those considering military action against Syria. Few seriously doubt that chemical attacks took place. Something must be done. But if the trigger is Assad’s use of chemical weapons, we must be sure he was responsible. And if the ‘something’ that is done is to fire rockets into Syria then we need to be confident of a better outcome than if we do nothing, or if we do something else. On Thursday evening, moments before MPs narrowly rejected a preliminary motion on military action, the BBC broadcast a horrifying report from northern Syria by its correspondent Ian Pannell. There were more images of dying children, this time victims of an incendiary bomb dropped on their school. Parliamentarians would not have seen that report and Twitter was alive with the wisdom of those who were convinced it would have swayed them. It may well have done, but that would have been wrong-headed. Anger should spur us to action, but emotions should not distort our judgement. We may be inspired by our hearts, but we should make decisions with a cool head. All the more reason to sleep on important decisions before committing to them. After Thursday’s vote, the Prime Minister almost immediately ruled out British military action in Syria. I strongly believe in the need for a tough response to the use of chemical weapons. But I also believe in respecting the will of this House of Commons. It is clear to me that the British Parliament, reflecting the views of the British people, does not want to see British military action. I get that and the Government will act accordingly. Strictly speaking, that wasn’t what parliament called for and while in the moment it seemed magnanimous, with hindsight it seems rash. The body of evidence against Assad has evolved since the vote took place, and the weight of opinion inside parliament would only have to shift by 7 votes to change the outcome. However, the PM’s stance has since been reaffirmed – in even clearer language – by senior ministers including the Foreign Secretary, the Chancellor and the Deputy Prime Minister. Nick Clegg said the Government would not return to Parliament with “the same question on the same issue in response to the same atrocity”. In a microscopic change of tone, this afternoon, the Defence Secretary Philip Hammond told the House of Commons that “Parliament has spoken clearly on this issue and is unlikely to want to revisit it unless circumstances change very significantly.” The hidden implication is that another vote is indeed possible. I am not arguing for military action in Syria. Nor against it. I’m simply pointing out that the question seems to have been abandoned by David Cameron on a whim, apparently (perhaps wilfully) misjudging the will of parliament. My perception, from watching the debate, is that while many MPs were unconvinced; few were resolutely opposed to military intervention. In fairness to the Prime Minister, he recalled Parliament only after consulting the Leader of the Opposition, who apparently pledged his support for the motion before adding caveats later. I cannot see the question being revisited until and unless Ed Miliband takes the initiative to call for it and signal Labour’s support. Meanwhile what of the other P5 nations, the permanent members of the UN Security Council? China seems agnostic, likely unwilling to interfere in the internal affairs of a sovereign state. It is what might be called a self-interested point of principle. Russia (an ally of Syria) described the chemical attack accusations against Syria as ‘absurd’. The presidents of the United States and France will both seek legislative approval before committing military resources. Whatever, if any, military action there is against Syria, it will be a ‘coalition of the willing’, reminiscent of Iraq. This will be no UN-sponsored adventure, despite the UN Secretary-General’s acknowledgement there should be “no impunity” for the wielders of chemical weapons. But UN-backing is a lesser order issue. More important that the judgement is correct, and in such a complex question, it is no surprise that Presidents Obama and Hollande are also seeking political cover for their decisions. For the perpetrator of atrocities, there must be ‘no impunity’. Something must be done. On the question of military action, it may be argued that it is a necessary evil. In this case, inaction is also an evil. Neither option is necessary, but the question cannot be ducked. This is no Hobson’s Choice. Both options are real and both carry difficult consequences. Let us pray that those with the power to act get this judgement right.